1) Call it a mini-empire: James Syhabout’s third Oakland restaurant will open in Rockridge sometime next year. According to Inside Scoop, the chef’s newest project will be located at 5912 College Ave., in the 70-seat space recently vacated by Somerset. Details are still sketchy, but the basic concept is fun and casual with a full bar. The kitchen will be headed up by Benjamin Coe, who currently cooks at Commis. 2) Remember how good the East Bay’s Chinese food scene used to be before all the best places were shut down by kitchen fires? The last we’d heard about Albany’s China Village was that a big post-fire renovation project was about to begin and that a late September reopening wasn’t out of the question. Alas, obtaining new health and building permits has proven more challenging than chef-owner John Yao anticipated, so it looks like construction won’t even begin until next month. Yao told me a late December or early January opening date is his new target. 3) In other fire recovery news, it looks like CommonWealth is gearing up to reopen in early October. Oakland North has the heartwarming story of how many of the pub’s neighbors (its competitors, even) have pitched in and helped make CommonWealth’s road to reopening that much smoother. 4) Grease Box Mobile Kitchen’s gluten-free Southern comfort food is now available via Good Eggs, the online marketplace for local artisan food products. 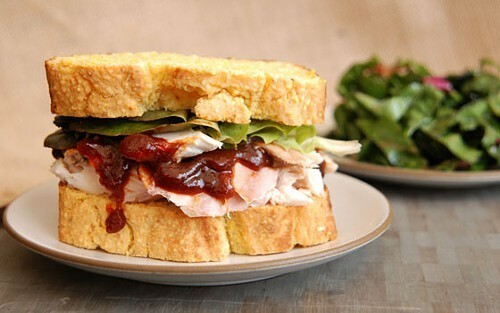 Proprietor Lizzy Boelter’s awesome fried chicken won’t be available online, but the sandwich-centric menu sounds pretty amazing: Texas slow-smoked brisket, a schmancy take on beer can, tuna salad made from sushi-grade tuna that Boelter packs and cans herself, and more — all served between thick slices of homemade cornbread (or other gluten-free bread option). You can pick up your order at one of the two East Bay pickup locations or, for orders of $120 or more, have it delivered. 5) Via Eater: Township, the Oakland restaurant venture from veteran urban farmer Abeni Ramsey (of City Girl Farms), has launched an ambitious Kickstarter campaign. The goal is to raise $20,000, which will go toward expanding the farm’s production capacity (in order to supply the restaurant with produce, eggs, and honey) and to trick out the restaurant itself with a variety of eco-friendly materials and design features. 6) To celebrate the tenth anniversary of his Roli Roti Gourmet Rotisserie food truck, Thomas Odermatt will host a pop-up outside of Chez Panisse this Sunday, from 12 p.m. to 3 p.m. There will be porchetta sandwiches on the menu. Proceeds will benefit The Edible Schoolyard Project. Meanwhile, Inside Scoop has a two-part interview with Odermatt. Biggest take-away: The secret to Roli Roti’s popular porchetta is tying the pork up so tightly that the meaty juices can’t help but distribute themselves evenly. 7) Oakland North reports that proposed cuts to the federal food stamp program in the new farm bill would likely cause benefit recipients to do less of their shopping at local farmers’ markets. 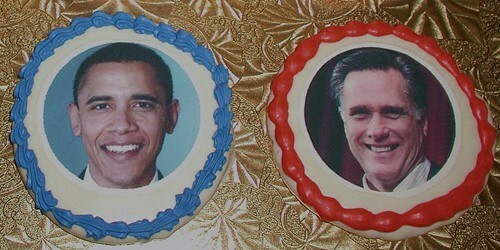 8) Berkeleyside has the story of a local bakery’s election season gimmick: Obama and Romney photo cookies at Virginia Bakery, available for $2.95 each. The most recent tally? 139 Obama cookies sold, to 46 Romneys. 9) Finally, this week’s stories about about mooncakes and BART’s ads for Meatless Mondays. An early Happy Mid-Autumn Festival to y'all.